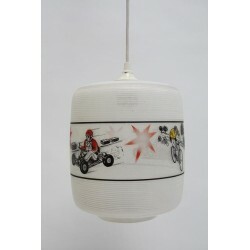 Original hanging lamp from the sixties/seventies. 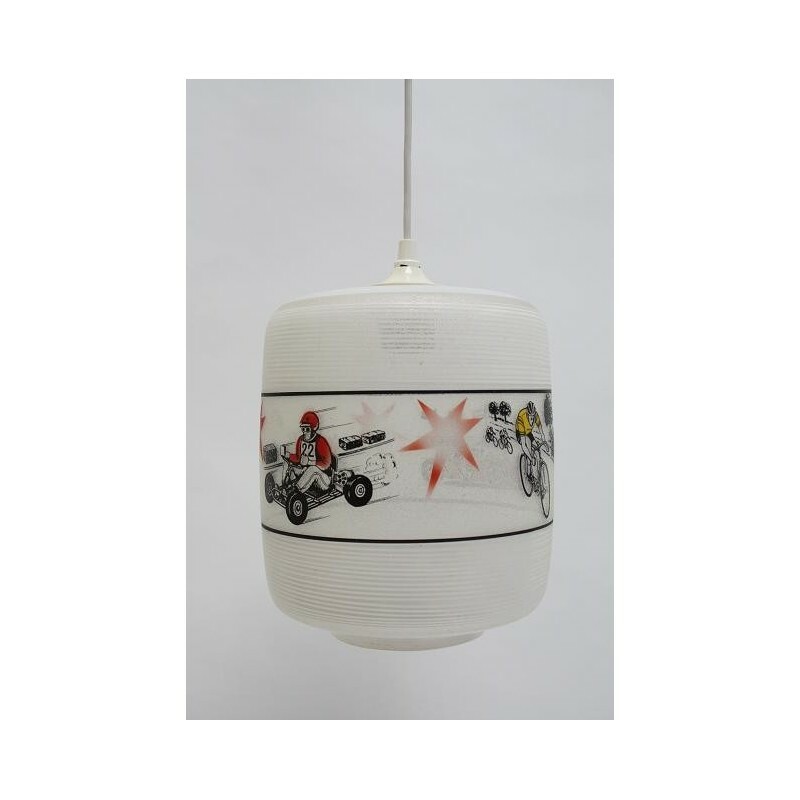 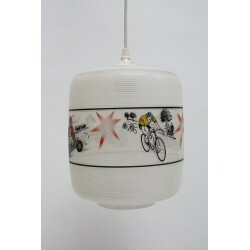 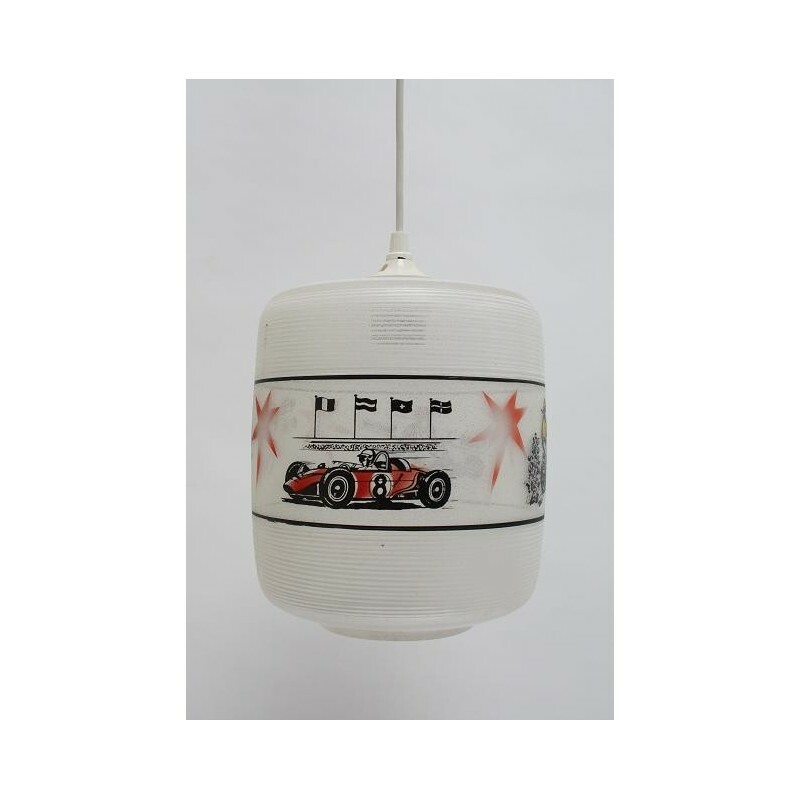 The lamp has a image of a race car, cyclist, cross-country motorcycle and a cartcar, what makes the lamp perfect for a child's room. 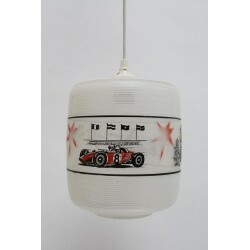 The glass lamp is in a good condition. 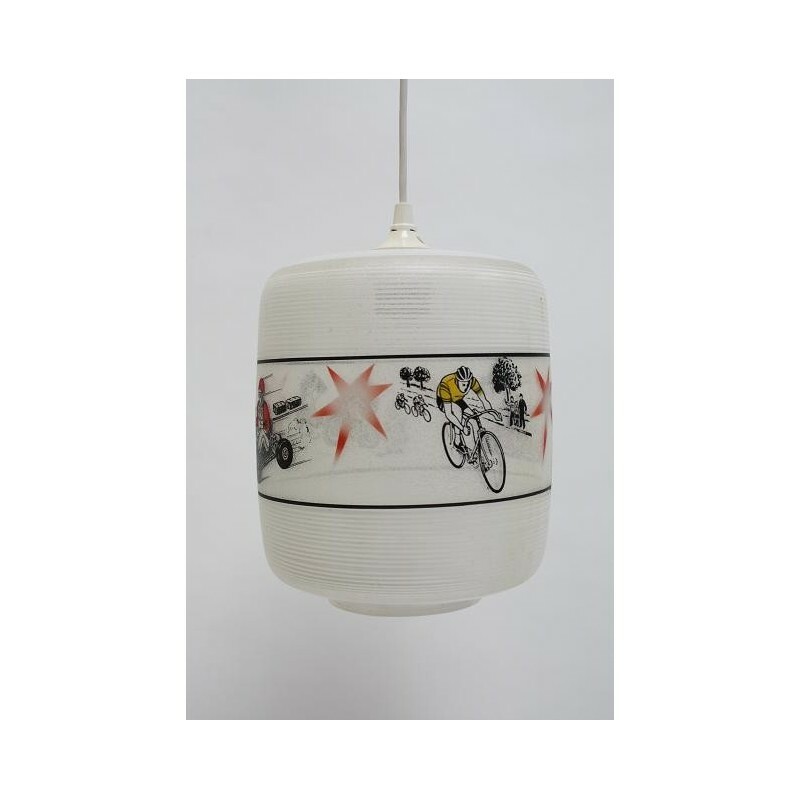 The dimension is 26 cm high and 20 cm wide.